Iscla, I., Wray, R., Blount, P., Larkins-Ford, J., Conery, A. L., Ausubel, F. M., Ramu, S., Kavanagh, A., Huang, J. X., Blaskovich, M. A., Cooper, M. A., Obregon-Henao, A., Orme, I., Tjandra, E. S., Stroeher, U. H., Brown, M. H., Macardle, C., van Holst, N., Ling Tong, C., Slattery, A. D., Gibson, C. T., Raston, C. L. and Boulos, R. A. (2015). A new antibiotic with potent activity targets MscL. J Antibiot (Tokyo) 68(7): 453-462. Tu, T., Mason, W. S., Clouston, A. D., Shackel, N. A., McCaughan, G. W., Yeh, M. M., Schiff, E. R., Ruszkiewicz, A. R., Chen, J. W., Harley, H. A., Stroeher, U. H. and Jilbert, A. R. (2015). Clonal expansion of hepatocytes with a selective advantage occurs during all stages of chronic hepatitis B virus infection. J Viral Hepat 22(9): 737-753. Wahid, M. H., Stroeher, U. H., Eroglu, E., Chen, X., Vimalanathan, K., Raston, C. L. and Boulos, R. A. (2015). Aqueous based synthesis of antimicrobial-decorated graphene. J Colloid Interface Sci 443: 88-96. Eijkelkamp, B. A., Stroeher, U. H., Hassan, K. A., Paulsen, I. T. and Brown, M. H. (2014). Comparative analysis of surface-exposed virulence factors of Acinetobacter baumannii. 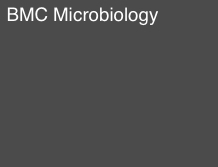 BMC Genomics 15: 1020. Eijkelkamp, B. A., Stroeher, U. H., Hassan, K. A., Elbourne, L. D., Paulsen, I. T. and Brown, M. H. (2013). H-NS plays a role in expression of Acinetobacter baumannii virulence features. Infect Immun 81(7): 2574-2583. McAllister, L. J., Ogunniyi, A. D., Stroeher, U. H. and Paton, J. C. (2012). Contribution of a genomic accessory region encoding a putative cellobiose phosphotransferase system to virulence of Streptococcus pneumoniae. PLoS One 7(2): e32385. Eijkelkamp, B. A., Stroeher, U. H., Hassan, K. A., Papadimitrious, M. S., Paulsen, I. T. and Brown, M. H. (2011). Adherence and motility characteristics of clinical Acinetobacter baumannii isolates. FEMS Microbiol Lett 323(1): 44-51. McAllister, L. J., Ogunniyi, A. D., Stroeher, U. H., Leach, A. J. and Paton, J. C. (2011). Contribution of serotype and genetic background to virulence of serotype 3 and serogroup 11 pneumococcal isolates. Infect Immun 79(12): 4839-4849. Harvey, R. M., Stroeher, U. H., Ogunniyi, A. D., Smith-Vaughan, H. C., Leach, A. J. and Paton, J. C. (2011). A variable region within the genome of Streptococcus pneumoniae contributes to strain-strain variation in virulence. PLoS One 6(5): e19650. Lammerts van Bueren, A., Ficko-Blean, E., Pluvinage, B., Hehemann, J. H., Higgins, M. A., Deng, L., Ogunniyi, A. D., Stroeher, U. H., El Warry, N., Burke, R. D., Czjzek, M., Paton, J. C., Vocadlo, D. J. and Boraston, A. B. (2011). The conformation and function of a multimodular glycogen-degrading pneumococcal virulence factor. Structure 19(5): 640-651. Stroeher, U. H., Kidd, S. P., Stafford, S. L., Jennings, M. P., Paton, J. C. and McEwan, A. G. (2007). A pneumococcal MerR-like regulator and S-nitrosoglutathione reductase are required for systemic virulence. J Infect Dis 196(12): 1820-1826. Standish, A. J., Stroeher, U. H. and Paton, J. C. (2007). The pneumococcal two-component signal transduction system RR/HK06 regulates CbpA and PspA by two distinct mechanisms. J Bacteriol 189(15): 5591-5600. Pramanik, A., Stroeher, U. H., Krejci, J., Standish, A. J., Bohn, E., Paton, J. C., Autenrieth, I. B. and Braun, V. (2007). Albomycin is an effective antibiotic, as exemplified with Yersinia enterocolitica and Streptococcus pneumoniae. Int J Med Microbiol 297(6): 459-469. Ogunniyi, A. D., LeMessurier, K. S., Graham, R. M., Watt, J. M., Briles, D. E., Stroeher, U. H. and Paton, J. C. (2007). Contributions of pneumolysin, pneumococcal surface protein A (PspA), and PspC to pathogenicity of Streptococcus pneumoniae D39 in a mouse model. Infect Immun 75(4): 1843-1851. Standish, A. J., Stroeher, U. H. and Paton, J. C. (2005). The two-component signal transduction system RR06/HK06 regulates expression of cbpA in Streptococcus pneumoniae. Proc Natl Acad Sci U S A 102(21): 7701-7706.